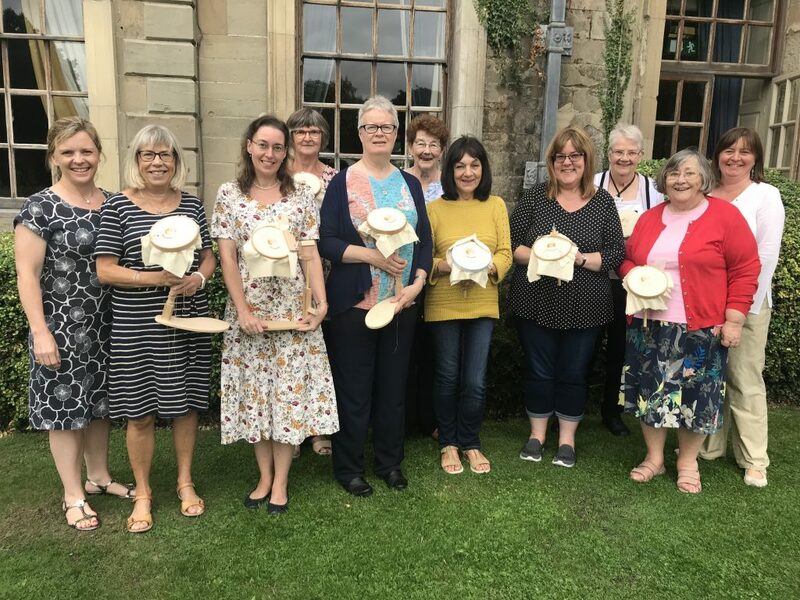 The medieval retreat at Coombe Abbey last month, was a great success, where Sarah Homfray and I welcomed 10 lovely ladies to explore and learn the medieval embroidery technique known as ‘Opus Anglicanum’ ( English work). The Abbey was built during the same time this embroidery was at his height and added to the authenticity of the time we spent there. We all enjoyed the experience and all reflected on just ‘how did they do that’ when electricity, magnifiers, and spectacles were not invented at this time. We also were in awe of how much bling there must have been using real gold and other metals, luxurious jewels and sumptuous silks that were available which many are not now. 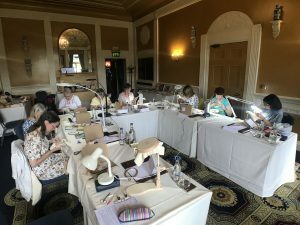 My next retreat is a little more light hearted, with a fun day of Stitching and Tea at the world famous ‘Betty’s Tearooms’ in Harrogate in November.